While networking is the primary issue, mind share is also important. The reason is simple: Corporations spend thousands of dollars on these events, but due to the usual “cookie cutter” program, after the event is over, it’s quickly forgotten. This loss of mind share is akin to flushing all those dollars down the drain. Sure, you want attendees to talk about what they learned at the conference, but is that all you want them to talk about? If so, why hold a networking event? And while proving an ROI for a networking event can be challenging, if you don’t “go beyond the normal” at your event, the ROI will be zero. To substantiate the costs involved, it only makes sense to create an event that not only fosters interaction among attendees, but also provides them with a unique experience that will stay in their minds, after the event is over. Here are 3 ideas to help you achieve both goals. Most conferences provide the usual name badge and lanyards. However one idea to “pump it up” is to provide oversized name tags or badges that read, “My name is (blank) and my hobby is (blank).” You can use anything else in place of “hobby” like “my favorite movie or TV show is,” etc. This idea can encourage interaction and fun conversation, even among the most frightened attendee wall flowers. 2 – Lights! Camera! You Are the Star! A simple handheld video camera with a portable spot, along with a professional emcee, can add some interactive fun to a networking event. The feed should appear on a large screen, which – naturally – has your branding on it. A professional funny emcee can interact with your guests and pull others into the conversation with light hearted questions, ad libs, and fun banter that doesn’t embarrass your guests, but puts them into the spotlight. Additionally, the use of celebrity impersonators during this activity can aid in guest participation. Interactive entertainment is entertainment which encourages participation. Watching acrobats twist and turn does not do that nor do loud bands. Casino nights, individual fair-like games or a game show on a stage with not only a professional host, but also great prizes can be effective. For a game show, make the contests fast and utilize numerous people for each event. To enlist contestants, point the aforementioned hand held camera to random guests. Since the feed is on the large screen, peer pressure will aid you in bringing the wall flowers and “grumpys” on stage. A professional close up magician or similar form of interactive entertainment can also work well. Create a mini-stage set up with a back drop, 15- 20 chairs and signage (plus branding) that fits the performer. Having the entertainer do short sets (approximately 15 minutes each) numerous times throughout the event, allows a large number of guests to be involved. Additionally, this form of entertainment is fun, encourages participation and interaction and – if you hire the right entertainer(s) – provides your guests with a unique experience that they can talk about, when they return to their office. The key phrase in the above paragraph is “the right entertainer(s).” That also applies to engaging an emcee or companies that provide games, casino nights, etc. There are only a handful of professional corporate magicians and emcees, worldwide, who do this work on a regular basis, and the same may apply to those who provide interactive games. Therefore, as you would spend time researching location, food/drink and decorations for your user group or client conference networking event, do the same with the entertainment. View their sites. Watch video demos and reference past/current client testimonials. Obviously, no matter what you do, all of your guests will not participate, and neither may others at your own company. However, that should not impede you from creating a networking event that not only satisfies the goal of getting guests to connect with others beyond their usual group of connections, but also the secondary goal, which is utilizing the dollars spent on your networking event to harvest that important factor called “mindshare,” long after the event is over. 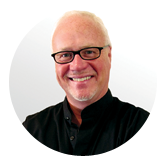 Bob Garner holds an impressive 30 year track record of working at events, trade shows and meetings for some of the largest corporations in the world. Known for delivering the “WOW” Factor, you can find out he can help you bring that factor to your event by visiting his corporate magician meeting site. ©2014Bob Garner. All Rights Reserved. You may share this article, but you must do so in its entirety and include my byline and my resource box.